Cupping from your hardwood floors can start due to moisture levels changing in your home. You can start noticing it along the sides and ends of the board, to the center. If your floorboards look like they’re curving inwards, your hardwood floors are cupped. Hardwood floors cup due to changing moisture levels in the air. However, they can also be caused by the variety of hardwood floor you have installed. Most solid wood floor variations can show signs of cupping within a couple days. But, engineered wood floor cupping is a little different, since cupping usually starts when moisture levels are lowered. Often enough, engineered wood flooring can cup much faster than solid wood flooring, in fact, nearly 10 times faster. One of the leading causes of hardwood cupping is when air moisture levels are higher than the hardwood floor itself. However, usually happens when the new flooring is installed being acclimated to either air conditioning or heat. To prevent cupping from your hardwood flooring, make sure that you have a consistent level of moisture on your sub-floors. This can easily be done by making sure you have proper moisture barriers installed while setting in your new floors. Since wood naturally retracts and expands throughout the year, it’s important that you properly install it and fasten it to prevent cupping during the summer months. Sometimes, not even a professional contractor can prevent hardwood flooring from cupping. If you notice cupping on the flooring in your entire home, it’s most likely caused by humidity. However, you can prevent cupping from occurring by keeping the humidity under 50 percent and running your air conditioner on exceptionally warm days. You can use a whole-home humidifier along with your air conditioner or HVAC system to keep humidity at optimal levels in your house. It can help protect your hardwood flooring from cupping and also limit the moisture levels in your home. When your hardwood floors need to be cleaned, make sure that you don’t use too much water, particularly throughout the summer months. High humidity levels in your home will cause the heavy amounts of water to evaporate more slowly and cause cupping to occur, ruining your hardwood floors. If you notice cupping in one concentrated area of your floor, it may be because of a spill or leak. To prevent this, wipe up spills as soon as they occur. Also, if you notice your pipes leaking, get them fixed as soon as you can before they cause irreversible damage to your floors. Many homeowners decide to install hardwood floors in their bathrooms and kitchens. Though these floors look great, they are not without their downsides. Bathrooms and kitchens typically have a lot of moisture, which can cause floors to cup. Whenever you plan on showering or cooking for more than ten minutes, run your vents. Though hardwood is more susceptible to humidity, drastic temperature changes can also have an effect on the flooring. When the floor heats up, the boards expand. When the floor cools, the boards contract. Though this occurrence is normal, it can weaken the wood and damage your flooring. Try to keep the temperature in your home as steady as possible to ensure your wood flooring stays in like new condition. Basements typically have more moisture than the rest of the house because they are underground. For this reason, you should take extra care if you choose to install hardwood floors in your basement. Consider installing engineered hardwood in your basement. This type of flooring is more durable than other types of hardwood and is specifically designed to be placed over concrete. In order to combat the excess humidity in your basement, purchase a high-quality dehumidifier. Pick one that is large enough to handle your entire basement and that drains automatically. Set your dehumidifier at 35 percent and leave it on for the entire summer. 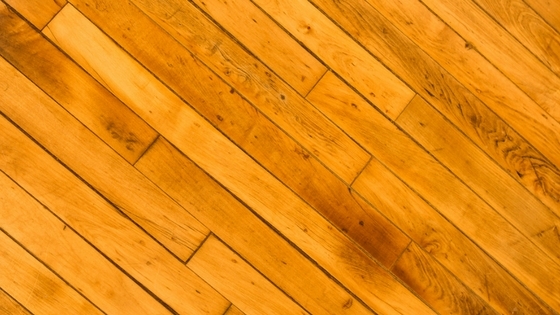 This is a vital step if you plan on installing hardwood in your finished basement.